NOTE: Free shipping on orders over $125 to the lower 48 states! Liquid Zeolite brand is recommended and sold by more healthcare practitioners than all other brands combined. Each bottle is a 1 month supply. Zeolites - Did You Know? Liquid Zeolite is now enhanced with DHQ (also known as taxifolin, which is a bioflavonoid similar in structure to that of quercetin) which may remove heavy metals such as: lead, mercury, arsenic, cadmium, and other toxins from the human body without affecting vital levels of essential minerals like calcium, magnesium, or zinc. What makes Zeolite so unique is its negatively charged, cage-like, honeycombed structure. When ingested, this natural mineral attracts and irreversibly binds toxic heavy metals, chemical elements, and free radicals and is then excreted through the urinary tract. This process is called Chelation. One of the most significant benefits of Zeolite over other chelating agents is its affinity schedule for toxic heavy metals. Zeolite binds with mercury first and lead second, moving on to additional positively-charged toxic heavy metals and chemical toxins which may include pesticides, herbicides, plastics, and even radioactive particles without removing precious nutrients such as calcium and magnesium. Extremely easy and pleasant to take: NO MESSY POWDERS to deal with! Purified Activated Liquid Zeolite is a small bottle of tasteless liquid that can be taken with or without food. y metals and toxins when they pull them out of your body cells. Your body then is forced to re-filter them which comes with many negative side effects. With Zeolite’s cage structure, it traps the toxins and heavy metals, so your body is not re-exposed to them. This is why Zeolite does not create negative reactions and provides concrete positive results in the detoxification process. As toxins accumulate, they can have very negative effects on each and every system within our bodies. Our bodies are a precise machine that as these toxins build up over time, they can cause damage to neurological, immune, reproductive and endocrine systems. Some of these toxins can cause cancers, some are toxic to the brain and nervous system and some can even cause birth defects and diminish our body’s overall immunity levels. Men’s Health Magazine lists Zeolite as the 5th most important natural supplement for long-term vibrant health. June 14th, 2010 edition. Of the EPA’s list of 275 hazardous substances, Arsenic, Lead and Mercury rank #1, #2 and #3. Cadmium is #7. These are some of the most common heavy metals that we are exposed to in our daily environment. The natural zeolite powder used in our Liquid Zeolite is thoroughly cleansed to clean-out the zeolite cages of any possible naturally occurring contaminants leaving us with a totally safe & clean zeolite powder to work with! This product is only manufactured in the USA. Liquid Zeolite is more efficient than zeolite powder. Liquid Zeolite is produced according to Good Manufacturing Practices (GMP) in an FDA licensed and GMP certified manufacturing facility. Each batch is 3rd party independently tested to ensure quality control and safety! Liquid Zeolite may also help to normalize pH levels, kill viruses and bacteria, as well as improve overall well-being and increase energy levels. If you are taking a non-traditional approach to any health problem or you are simply trying to improve your health, detoxification of toxins & heavy metals is vital to your success. Liquid Zeolite contains ultra-micronized zeolite particles with an average size of less than ½ micron (one micron is one millionth of a meter), which is many times smaller than most other competitor brands of zeolite liquid supplements’ particle sizes. The great importance of such a smaller particle size is that it yields a considerably greater overall zeolite surface area, which allows a significantly greater number of its “microscopic crystalline cages” to be exposed, thereby increasing the zeolites’ ability to absorb mercury, cadmium, other heavy metals and toxins more efficiently & effectively. 1. Extremely safe and non-toxic: Purified Activated Liquid Zeolite is completely non-toxic and is safely and completely eliminated after 5 to 7 hours. Toxins that it captures in its cage are effectively deactivated so that there are no side-effects from those toxins as they are eliminated from the body — it is important to drink plenty of water (8 to 10 glasses a day) when taking zeolite. 2. May Remove toxic heavy metals: Purified Activated Liquid Zeolite may have the perfect molecular structure for latching on to and then removing heavy metals (including radioactive ones) from the body, including mercury, cadmium, lead, arsenic, aluminum, strontium and excess iron. 3. May help remove pesticides, herbicides & dioxins: These chemicals may be prime candidates for triggering cancer and disrupting hormone balances, it is very important that they are removed from the body as quickly as possible. 4. May reduce viral load: Purified Activated Liquid Zeolite may latch on to viral components. This may help relieve some of the symptoms of viral diseases and infections. 5. May reduce absorption of nitrosamines: These substances can be found in processed meats, bacon, hot dogs, deli meats, etc. and are linked with pancreatic, stomach and colon cancer, as well as Type II diabetes. Purified Activated Liquid Zeolite may help to neutralize these toxins in the digestive tract by capturing them in its molecular cages before they can be absorbed into the body. Then they are safely eliminated from the body. 6. May help buffer body pH to a healthy alkalinity: Purified Activated Liquid Zeolite may act like a pH buffer, helping to prevent the acidic conditions in our blood and cellular fluids that encourage low immunity and diseases. 7. May help to buffer blood sugar: it may also buffer excess glucose by its negative charge and therefore may help reduce blood sugar spikes. Extremely easy and pleasant to take: NO MESSY POWDERS to deal with! Many serious detox solutions are difficult to take, taste unpleasant, and can leave a person feeling drained because they indiscriminately remove healthy minerals as well. Purified Activated Liquid Zeolite is a small bottle of tasteless liquid that can be taken with or without food. Contains Dihydroquercetin (DHQ), also known as taxifolin, which is a bioflavonoid similar in structure to that of quercetin. It is safe to use: Liquid Zeolite comes from the only ore supply that’s been approved as safe for consumption by humans. In addition, it has been processed in such a way that it can NEVER withdraw necessary minerals or elements from your body only the harmful ones. It is chemical free: Liquid Zeolite is processed without chemicals. Through a natural, proprietary process, concentrated organic humic acid molecules naturally hold zeolite in permanent suspension. The natural zeolite powder used in Liquid Zeolite is micronized & its zeolite cages are thoroughly cleansed. Finally the finished Liquid Zeolite product is gently heat-pasteurized to assure a 100% safe liquid zeolite formula. What makes natural cellular Liquid Zeolite better than other major brands of liquid zeolite? Many other brands use chemicals, solvents and/or high-heat treatment methods to process their zeolite into a liquid form. Natural Cellular Liquid Zeolite utilizes the newest advanced manufacturing processes. Liquid Zeolite is the NEWEST method to deliver zeolite to the cells. An organically induced, advanced technology is used to absorb the natural cellular zeolite directly into the molecular structure of the humic mineral complex. How long do I need to use Liquid Zeolite before I will see the results? This is our most frequently asked question. The answer is that everyone is different. Some people will notice results immediately; others will not see noticeable results for a few weeks or months. This has to do with the level of toxic build-up in each individual person, their body’s pH, and how quickly their body can be brought back into balance. We recommend using the product for at least 90 days before starting to evaluate the results. Most people continue on the product for life in order to maintain a balanced pH, and to continually remove the toxins that we are exposed to on a daily basis. Does Liquid Zeolite contain artificial sweeteners? If so, which sweeteners? NO! Zetox does not contain any sweeteners. It is completely diabetic safe. All ingredients in B-tox are all natural, including the flavoring. What is the shelf life of Zeolite Liquid Zetox? B-tox has an expiration date of 3 years in accordance with cGMP (Certified Good Manufacturing Practice) standards. Is Liquid Zeolite FDA approved? The FDA does not approve nutritional supplements. However, all of the ingredients in Zetox are listed on the FDA’s GRAS (generally recognized as safe) list. What is the difference between “micronized” and “milled” processing for zeolite? Most mines use an inexpensive process called “milling” to process their zeolites, which crushes the zeolite into smaller pieces. Micronizing cuts the Zeolite using specialized equipment that keeps the Zeolite cage intact and effective. Think of a bee’s honeycomb and what would happen if you just crushed it. The structure would be destroyed. However, if you cut it with a knife, the honeycomb would remain intact but in smaller pieces. That is a perfect example of the difference between milling (crushing) and micronizing (cutting). The cage-like structure of a zeolite is part of the reason it offers its unique benefits. Micronization preserves that structure. Dihydroquercetin (DHQ), also known as taxifolin, is a bioflavonoid similar in structure to that of quercetin. It is extracted from the larch tree or grape leaf extract. Almost 600 studies conducted over the last 50 years have investigated its effectiveness and safety. Flavonoids perform two important functions… they strengthen your body’s immune response and they act as powerful super-antioxidants, protecting your body against free-radical damage, and oxidative stress. Why is it important to detoxify my body? 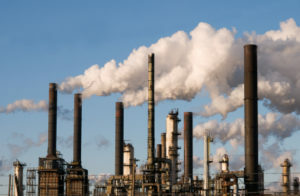 According to the 2005 report from the Center for Disease Control’s Environmental Health laboratory, there are currently 148 chemicals found in the blood and urine of Americans, including PCB’s, Dioxins, Furans, and DDT to name a few. These toxins are introduced into the body on a daily basis from numerous sources including the air we breathe, chlorine in the water supply, pesticides, disinfectants, food additives, cleaning supplies etc. Many of these toxins are known carcinogens. Why is it important to maintain proper pH? Pollution, stress and our consumption of coffee, alcohol, carbonated beverages, meat, dairy products and highly processed foods tend to create acidic body fluids. The optimum pH of the body should be slightly alkaline or around 7.4. Pathogens, including viruses, bacteria, fungi and yeast thrive in an acidic, anaerobic environment. Scientists have found that when the body’s biological terrain shifts from a healthy oxygenated, alkaline environment to an unhealthy anaerobic acidic environment, the cells cannot perform properly and a person is at a higher risk of contracting a wide spectrum of acute and chronic diseases as well as experiencing physical deterioration and more rapid aging. Why does combining Zeolite with trace-mineral complex create a more powerful synergistic effect than using Zeolite alone? Zeolite is a complex organic molecule that is not readily absorbed by the cells or the intestines. Subsequently, when zeolite is chemically dissolved in a simple water solution, or when taken as a straight mineral supplement in capsule form, its therapeutic effect (i.e. benefit to you) is not as strong or beneficial as it is when combined with an all natural, organic, bio-active intracellular carrier such as a trace mineral complex which among other attributes have the ability to transport nutrients directly into the cell, thereby enhancing absorption of any nutrient taken with them. 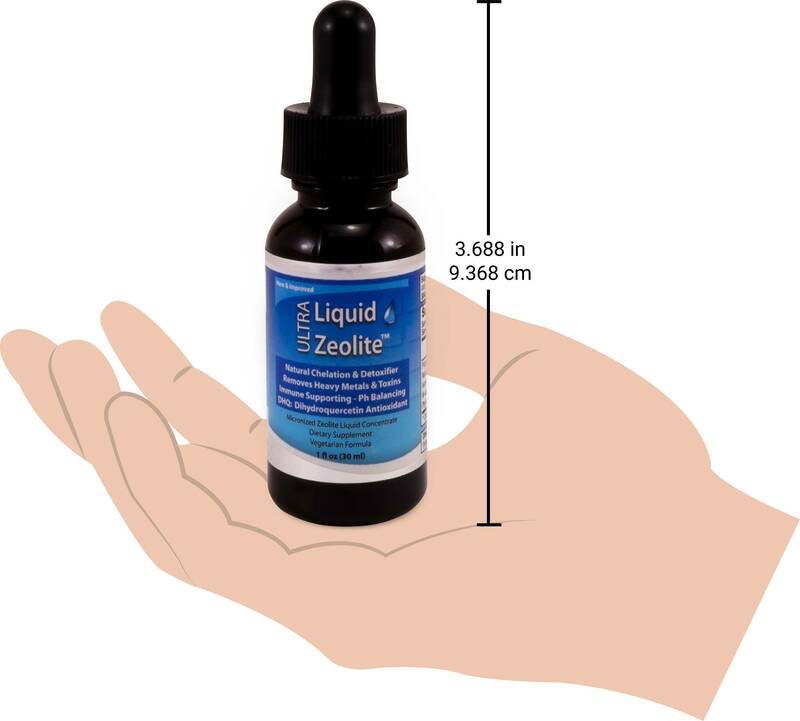 Genuine authentic Liquid Zeolite is ONLY sold in a blue-labeled bottle. Have any questions or comments? 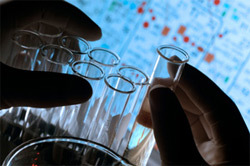 The statements and products on this website are not intended to diagnose, treat, mitigate, cure or prevent any disease. Information on this website is provided for informational purposes and is not meant to substitute for the advice provided by your own physician or other medical professional. You should not use the information contained herein for diagnosing or treating a health problem or disease, or prescribing any medication. You should read all product packaging carefully. If you have or suspect that you have a medical problem, promptly contact your health care provider. Pregnant and lactating women should always consult their health care professional before using any dietary supplement. The information contained on this website was derived from medical, nutritional, and media publication.